WHY IS A DESIGN BRIEF SO IMPORTANT? Industrial Design is a problem solving discipline. Effective product design needs to start with a thorough understanding of the problem to be solved and it begins with a design brief. A design brief is a written summary of a project that is being developed and needs to be very detailed so as to not raise ambiguity later on in the project. The design brief is there to help each party realize the desired results of the project and ensures key issues are not forgotten. 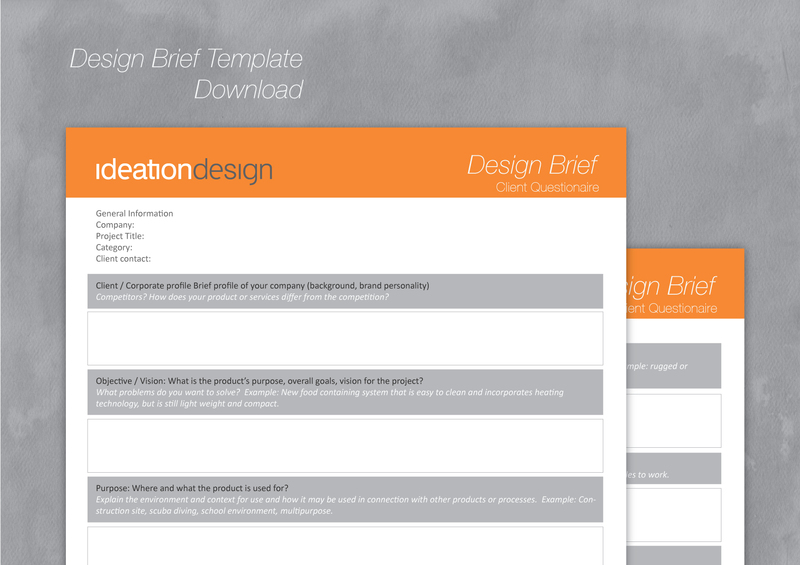 A design brief manages the expectations of a project. It acts as a reference for designers, and a check-point to make sure that important goals are being met practically, creatively and in a timely manner. Spending time detailing a design brief right not only saves valuable time in the long run but translates directly to a more cost effective job.